"Gentle, compassionate care from Dentists you can trust." "One, stop shop for all your dental needs." "I'll never go anywhere else for my teeth cleaning." "Exceptional preventive and restorative dental treatment." "We love the KRB Kidz Korner, where kids can have fun and get our teeth cleaned too!" "No longer experiencing any pain because of my wisdom teeth." Honesty, trust, and family define KRB. "These people are so nice, you can tell they genuinely care about their clients." "They are excellent and very professional. Highly recommend KRB." "Been going here for years. I love it for my kids." "Dr. Bari is excellent and her staff are friendly and efficient." "They treat you like family. Every visit of mine has truly been a pleasure." "Dr. Bari is the best. Highly recommended." "I love this place. They explain everything and do a great job." 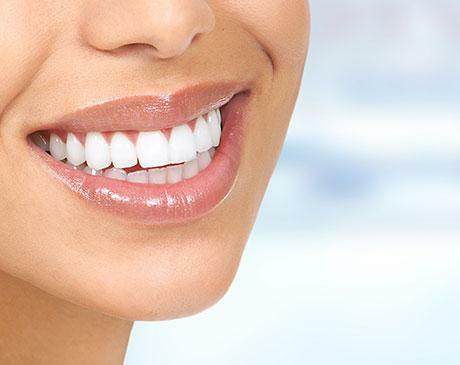 The dental team at KRB Dentistry in Rosenberg, Texas believes that every woman, man, and child has the right to a healthy smile for life and only does what’s in the best interest of each patient. Dr. Kauser Bari and her experienced team of dental associates focus on providing affordable, family-oriented dentistry geared toward their patients’ preferences and requirements. This expert team devises custom treatment plans that are “outside the box” to ensure each patient achieves optimal oral health according to their means and limitations. At this practice, it’s critical that every patient is taken care of like family — with sincerity and integrity. KRB Dentistry provides exceptional preventive and restorative dental treatment to multiple generations of children and adults, including infants, seniors, and anyone with special needs to consider, in the Greater Rosenberg, Sugar Land, Richmond, and Needville, Texas areas. Dr. Bari and her team members understand that most patients are nervous about coming to the dentist, so they strive to provide the necessary attention and devotion required for you and your family’s comfort, starting at the age of 6 months. They stress the importance of bringing children to the dentist early in life to help implement good oral hygiene as part of the child’s overall preventive health plan. The KRB team always aims to create a positive experience that incorporates state of the art equipment, the latest dental advancements, and encourages the parents to bring their children to the dental office to familiarize them with “the dentist” and good oral hygiene. Dr. Bari and her team always focus on the beauty of your smile and your health through thorough annual exams, because they believe preventive care and education are the keys to optimal dental health. When your family visits the staff at KRB Dentistry, they check the overall health of teeth and gums, perform oral cancer exams, take digital X-rays (with minimal radiation) only when necessary, and provide information on the importance of routine cleanings, flossing, sealants, and fluoride. KRB Dentistry starts building a foundation of trust with their family of patients by having a staff that works well together. Considering how uneasy some patients feel about dental visits, the team works to provide excellent, personalized care and service to make your appointments as comfortable and pleasant as possible. Call or make an appointment online today to benefit from a relaxing and positive dental experience at KRB Dentistry in Rosenberg, Texas. 24/7 Emergency Calls Available. Please call 832-600-3263. Dental Exam and Digital X-Rays for $39! At KRB Denistry, we’re known for our precision and personalized attention to keep you smiling! KRB Dentistry accepts all PPO insurance plans, including CHIP and Medicaid. Here are just a few of the plans that we accept. If you do not see your insurance plan listed, please call our office to confirm. "I had a great experience here! The staff and dentists here really take care of you. Everyone has a wonderful attitude and I highly recommend all dental services here!" "This is the one dentist appointment I look forward to! Can you imagine? Dr. Bari puts her patients at ease with excellent chair side manner." "Wow, excellent experience. From the time I walked into the office till I left I felt very comfortable. The dentist is amazing and she really cares about her patients." "KRB Dentistry is excellent in everything they do! From the front office staff to the assistants and dentists, everyone has been so friendly." "If you are looking for a dentist in the Rosenberg area, look no further because you have just found the best!" "I have been coming here for about six years, and I will not go anywhere else! I feel so comfortable and taken care of during every visit. Truly a top notch practice." I loved the treatment I got from KRB staff. One of the finest dental clinics with a great staff and very experienced doctors. They took care of me and I left smiling."